Our Board meets in public and is responsible for making sure that the CCG carries out all its duties. It is made up of local people with a real interest in making sure that health services in north east Essex are the best they can be. We keep a register of Declarations of Interest for all our Board and Elected members. Please see our board meetings agendas and supporting papers. Dr Hasan Chowhan is Chair of the CCG Board. He is a GP Partner at Creffield Medical Group in Colchester, which comprises Creffield Medical Centre, North Hill Medical Group and Layer Road Surgery. Hasan is a GP Trainer and Examiner for the Royal College of General Practitioners, with an interest in medical politics. Dr Ed Garratt is Chief Officer for Ipswich & East Suffolk, North East Essex (interim) and West Suffolk Clinical Commissioning Groups. He is also the lead commissioner of the East of England Ambulance NHS Trust. Ed has a strong reputation for building system collaboration and integrated care. He has over 15 years’ experience of working in the NHS, has worked at regional level in commissioning and helped to develop the NHS Constitution. He also worked on the policy development associated with the government’s NHS reforms of 2012. Ed holds a doctorate from the University of Cambridge. Kirsty Denwood is the CCG’s Chief Finance Officer. She is a qualified accountant with 16 years’ senior management experience in finance across several public sector organisations. Kirsty joined the NHS in 2007 and worked at the East of England Strategic Health Authority and North East Essex Primary Care Trust before being appointed to the role of Chief Finance Officer in August 2012. Lisa Llewelyn is the CCG’s Director of Nursing and Clinical Quality. Lisa started her career as a Registered Nurse and then went on to be educated as a Midwife and Health visitor. Lisa has over 30 years’ experience in the NHS and has held several senior level positions. 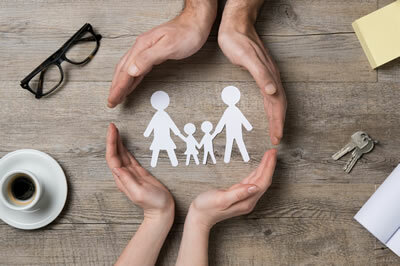 She has managed services in a wide range of settings, including acute, community, primary care, mental health and learning disabilities across the country. Lisa was appointed to the role of Director of Nursing and Clinical Quality in May 2012. Pam Green is the CCG’s Director of Transformation and Strategy. She started her NHS career as a Physiotherapist in 2001 in the East Midlands, eventually specialising in Stroke and Neurological rehabilitation in acute, community and home settings. Pam was a Senior Lecturer in Physiotherapy at University of Leicester Medical School and was also part of the NHS Improvement team for Stroke alongside her commissioning lead role for Cardio Vascular Disease at the former Northants Primary Care Trust. Following a highly successful large scale change in the way local stroke services were provided in Northamptonshire, the NHS Improvement team appointed Pam to further embed stroke services across other areas of the country. Pam moved to Essex in 2010 when she was appointed as Head of Acute Commissioning and very quickly became Deputy Director of Commissioning for the PCT, in transition to CCGs. Pam held the post as Head of Contracts at the North East Essex CCG and was made substantive in her current post during March 2015. Chris Howlett is the CCG Programme Director. He started his NHS career as an engineering apprentice at the Norfolk and Norwich Hospital followed by Estates Management posts in Acute and Mental Health Trusts in Dorset, East Sussex and Essex. Chris has worked as Director of Estates and Facilities at South Essex Partnership NHS Trust and more recently at Colchester Hospital achieving significant estates and services improvements at both Trusts. Chris holds a Masters Degree from the Medical Architecture Research Unit at London Southbank University and is a professionally qualified engineer. Dr Max Hickman is the CCG’s Clinical Vice-Chair. As a GP at Ambrose Avenue Surgery in Colchester, Max works in one of the largest general practices in North Essex. He has a long experience in health service management, previously working for North East Essex PBC group and Colchester PCT in chair roles. He has a keen interest in improving cardio-vascular services. As a GP, he has a special interest in cardiology. Jerry Wedge is a Lay Member of the Board. Jerry is Chair of both the Finance and Performance Committee and the Audit Committee. After gaining an economics degree at Manchester University, he went into business, firstly with a ready-mix concrete firm, before moving onto Huddersfield Council as financial manager. After an MBA at Heriot Watt University he moved to Wigan Council as Finance Director, before being appointed the Resources Director of the Disabilities Rights Commission, dealing with all areas of the Disability Discrimination Act. He joined Trinity House (lighthouses and pilots for shipping safety) in February, 2002, as Director of Finance & Support Services and lives in Frinton, Essex with his wife and two sons. Martyn Hanlon is a Lay Member of the Board. Martyn is the Chairman and Commercial Director of Exhibtr Ltd, and a co-founder of Redd and Whyte Ltd, an international company manufacturing liquid dispensing using nano technology, for companies and organisations conducting genomic research and drug discovery operations within the life-science industry. Martyn has a military background, both at sea and at the Ministry of Defence. He is currently a Master Mariner and Senior Marine Pilot at Harwich Haven Authority. Married with two sons, Martyn spends most of his spare time watching his boys play rugby for Sudbury RFC, running and playing tennis and golf. He is also a keen pianist. Pamela Donnelly is a Lay Member of the Board. She works as an Executive Director at Colchester Borough Council. Pam joined the Board in May 2011 and serves as Chair of the Quality Committee. Dr Paul Molyneux is the Secondary Care Specialist on the CCG Board. 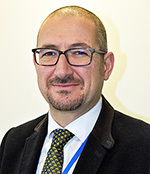 He is a Consultant Neurologist at the West Suffolk Hospital Foundation Trust and Addenbrookes Hospital, where he co-runs the Regional Multiple Sclerosis service. Dr Molyneux is Deputy Medical Director at the West Suffolk Hospital Foundation Trust, with a lead role in patient safety and medical appraisal. He has had considerable experience in service re-design and quality improvement. 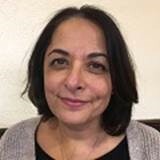 Dr Freda Bhatti - Tendring GP Elected Member Dr Bhatti qualified from University College Hospital medical school in 1991 and worked in various hospital posts in and around London before completing her GP training in 1997. She works full time and has an interest in paediatrics. Dr Bhatti enjoys socialising and spending time with her family and visiting Ireland regularly, particularly Dublin. Mark Cory is the Patient and Public Lead for the Health Forum Committee. Mark has lived in Wivenhoe since he studied Modern History and Politics at the University of Essex. After graduating Mark worked as a Youth Worker and for an NHS community carer project for one year each respectively. During his time with the NHS, Mark worked with patients and carers to improve recognition of their needs and improve accessibility to services and support. Mark then trained to become a secondary school teacher qualifying in 2012. In 2007, Mark became the youngest ever councillor elected to Colchester Borough Council. Mark continues to represent Wivenhoe to this day. In 2015, Mark was asked to join Colchester Cabinet to run the Finance and Resources portfolio. 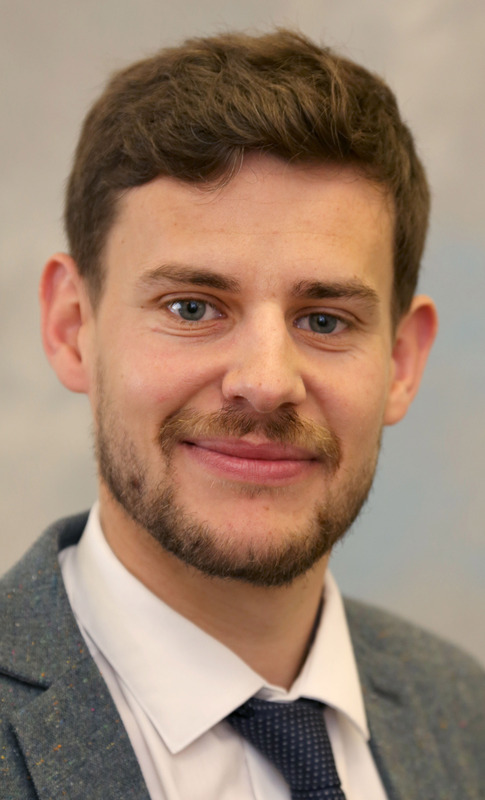 In May 2018, Mark became the youngest ever leader of Colchester Borough Council, the position he currently holds today. Dr Prashant Arora - Tendring GP Elected Member Prashant joined St James’ practice in Clacton during October 2006 and is currently a partner at the practice. Prashant has a particular interest in elderly care, patient safety and cardiology and diabetes. Prior to his current role, he was a GP registrar at a local GP practice in Guildford and a hospital doctor in the West Midlands. Prashant enjoys playing cricket, golf and spending time with his family. He also likes listening to Indian classical music. Jon Price is a sessional Lay Member. He worked for the Corporation of Trinity House for 36 years, the 13 of which were as Company Secretary and Risk Manager with a strong background in public sector corporate governance. More recently, he has been a key player in working to change the legal status of the International Association of Marine Aids to Navigation and Lighthouse Authorities based in Paris from a non-governmental body (NGO) governed by French law to one governed by international law as chair of their Legal Advisory Panel. He joined the CCG in September 2013 as a member of the Audit Committee and has chaired the General Practice Commissioning Committee since delegated primary care commissioning in April 2017. Simon Griffiths - Board member.